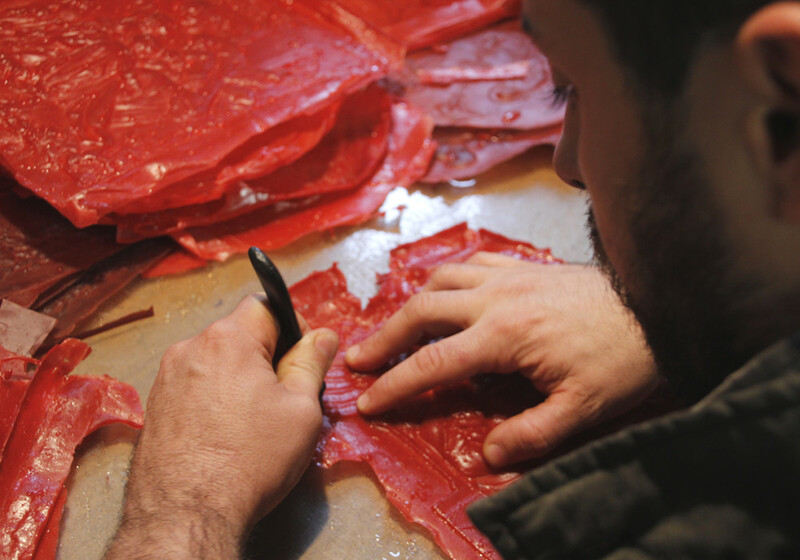 All decorations are entirely handmade through sculpture and chiselling work. 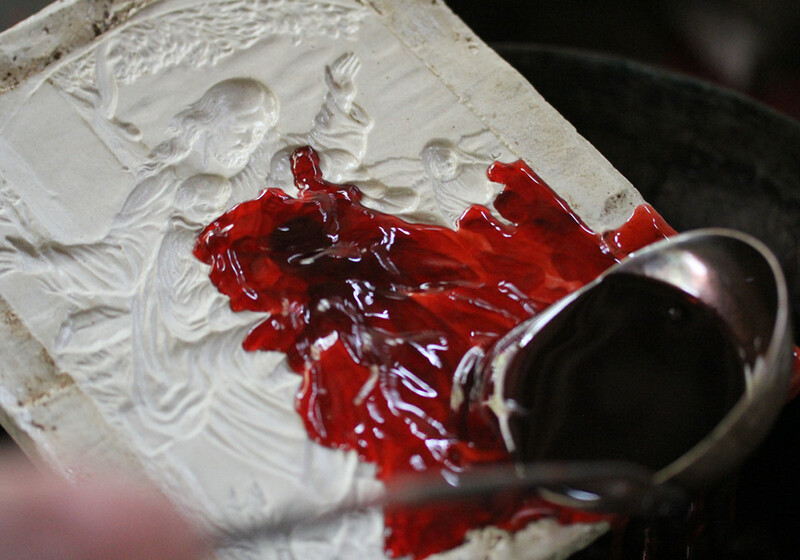 A bas-relief in clay is obtained from an initial image. 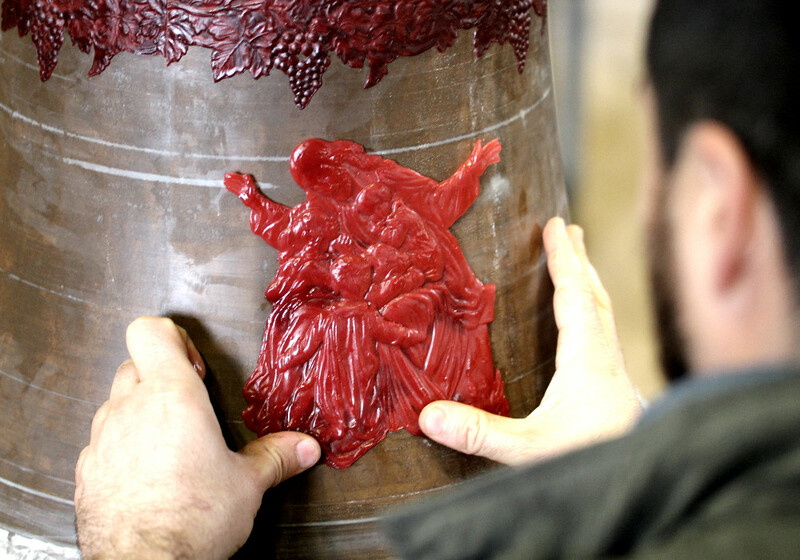 Then, a plaster cast is obtained from the bas-relief and used to create a wax 'positive' that will be applied to the so-called 'false bell' (clay bell). All plasters that we have created over the years form our large archive, which provides an extremely vast choice.